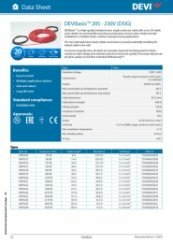 DSIG-20 91m single conductor heating cable is a 20watt linear metre cable used to install within a sand and cement screed for providing underfloor heating in houses, flats, offices, public buildings, factories, schools, and nursing homes. The cable is simply fixed to the floor using the devifast fixing strip ensuring both even spacing and even heat across the floor. 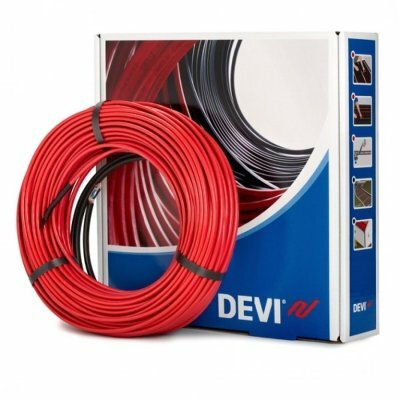 The heating cable can be controlled by any of the thermostats we stock.